CapoVelo.com | How Much Faster Can You Stop With Disc Brakes? 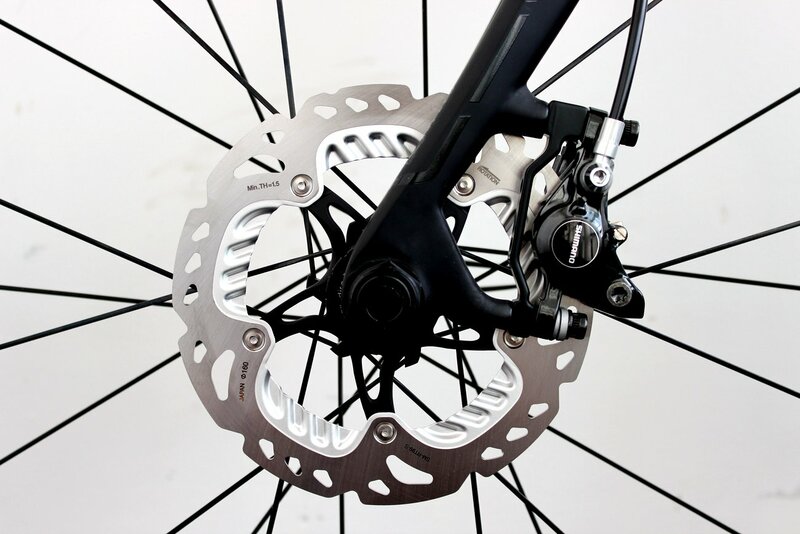 CapoVelo.com - | How Much Faster Can You Stop With Disc Brakes? How Much Faster Can You Stop With Disc Brakes? As sisc brakes have begun to make an appearance in the pro peloton, so it’s safe to say that they’re here to stay. But, how much faster can you stop with discs? And, is that the only advantage? The braking benefits of discs have been shown in pretty much every other wheeled sport, so, if anything, it’s a surprise that they’ve taken this long to get traction in road cycling. With fewer and fewer reasons left not to be thinking about upgrading to discs, it seemed like a good time to test the actual performance differences between discs and top-of-the range rim brakes and wheels out on the road over various different surfaces and in different conditions.